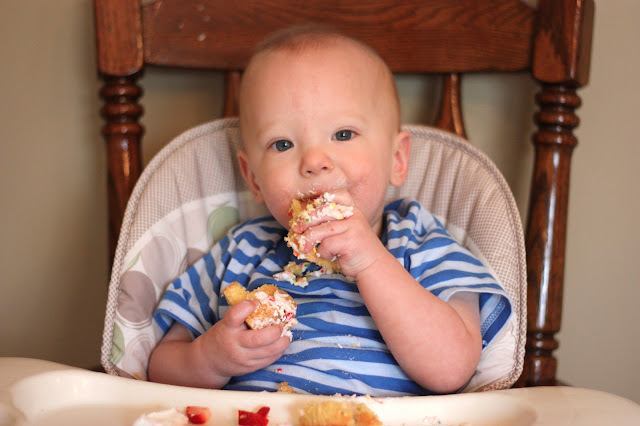 With Rhett's first birthday came the iconic first bites of cake. 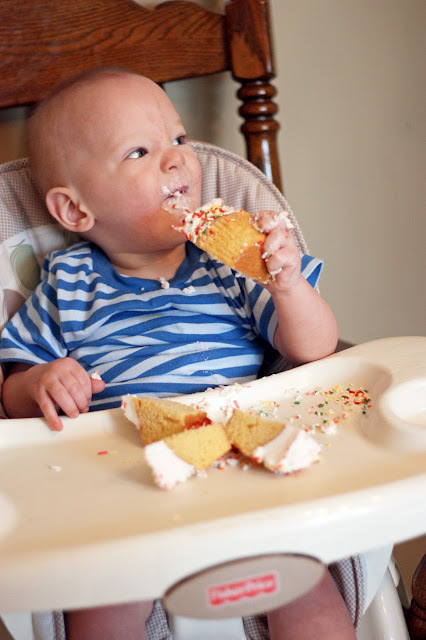 We've actually been pretty picky about what we've allowed Rhett to eat. 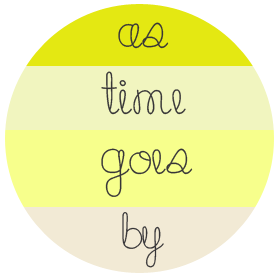 He hadn't had any sweets at all prior to his birthday. 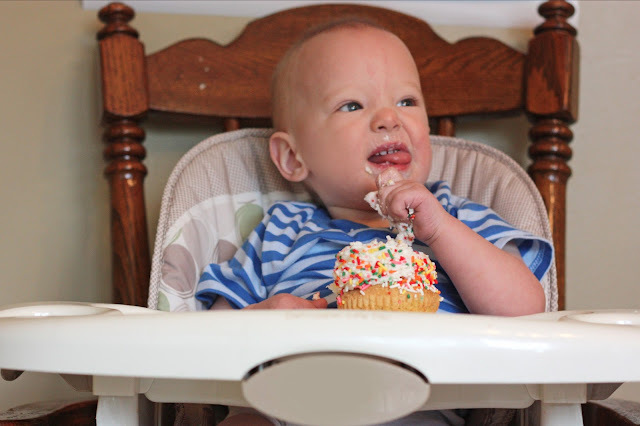 Josh kept trying to sneak him some cake or ice cream, but I really wanted to hold out until his first birthday for that first taste of pure, delicious sugar. 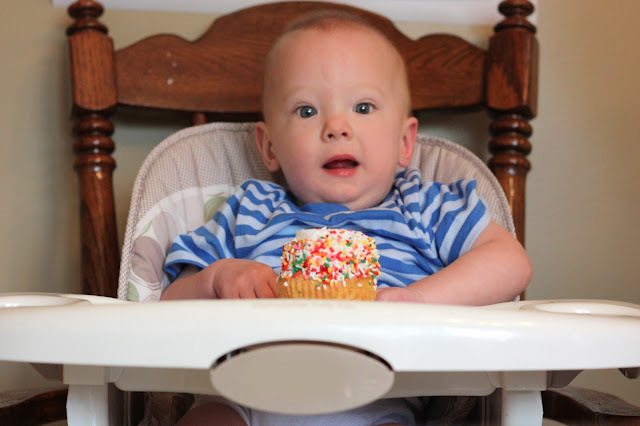 So on Thursday evening, we grabbed Rhett his birthday cupcake!